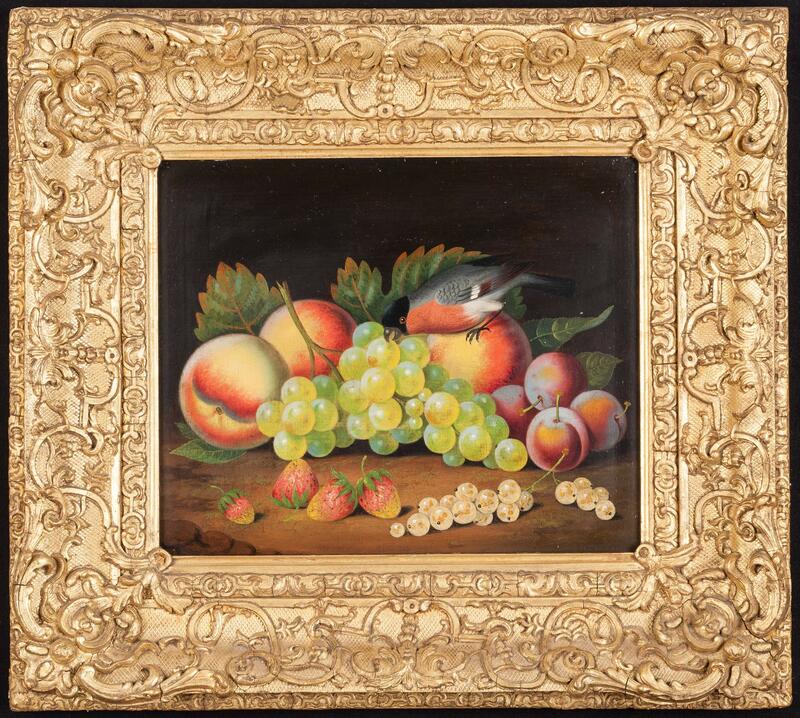 A Bullfinch Amongst Fruit attributed to william Jones of Bath (fl.1764-1777), painted in oil on an oak panel and within an early 19th century gilt gesso frame. 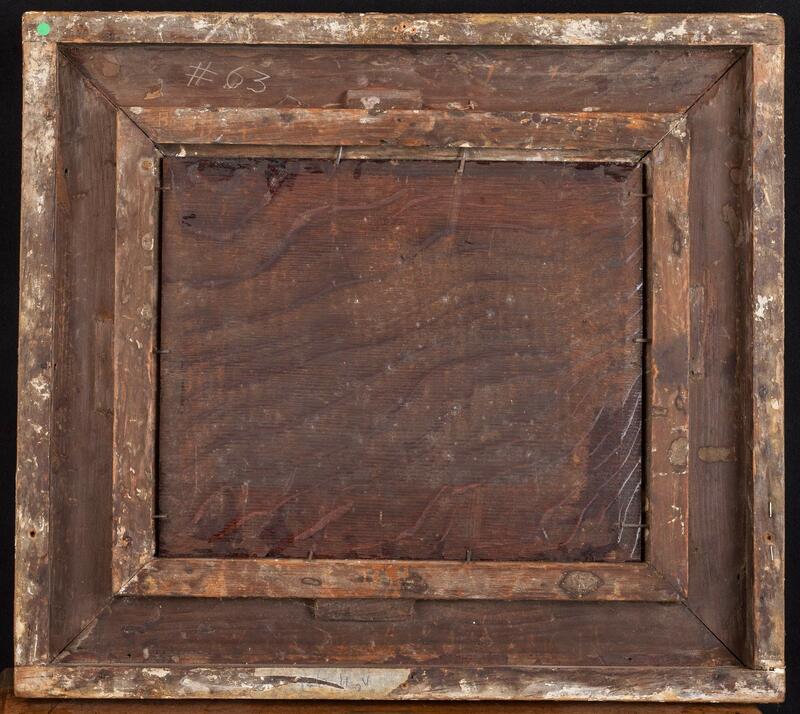 19 in x 17 in. The panel 12 in x 10 in.